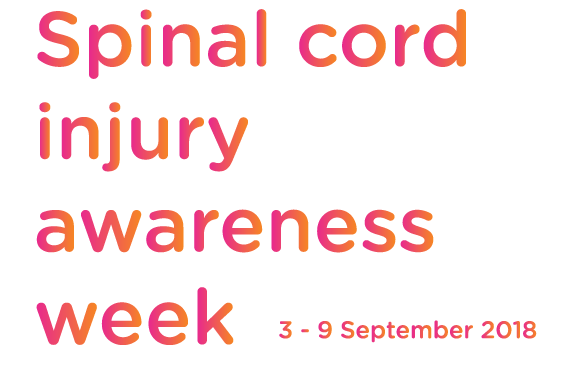 Spinal Cord Injury Awareness Week will be held from 3 – 9 September 2018, to raise awareness of the daily lives of people who have a spinal cord injury. This national week is an initiative of the Australian Spinal Injury Alliance, which represents eight of the country’s largest spinal cord injury support organisations. This year’s theme is “I can”, challenging perceptions of what it means to have a spinal cord injury. World Spinal Cord Injury Day forms part of Spinal Cord Injury Awareness Week, and will be held on 5 September. This week is an opportunity to think about how you can be more inclusive, consider wheelchair etiquette and language that you can use to describe a person with a spinal cord injury.